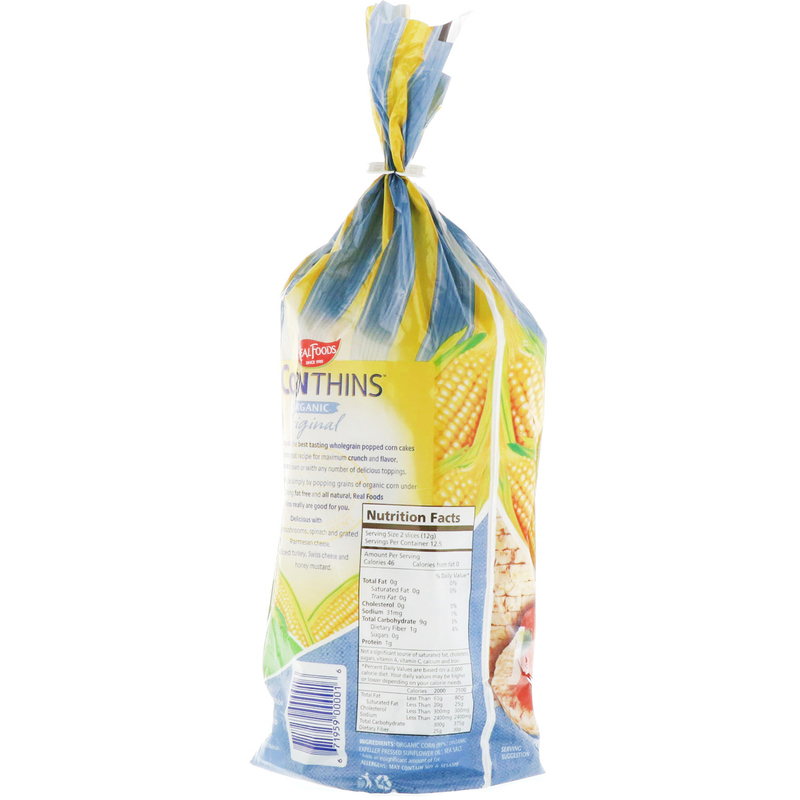 Real Foods Original Corn Thins are the best tasting wholegrain popped corn cakes you can buy. Made with a great recipe for maximum crunch and flavor, they taste sensational on their own or with any number of delicious toppings. Our Original Corn Thins are made simply by popping grains of organic corn under high temperature. 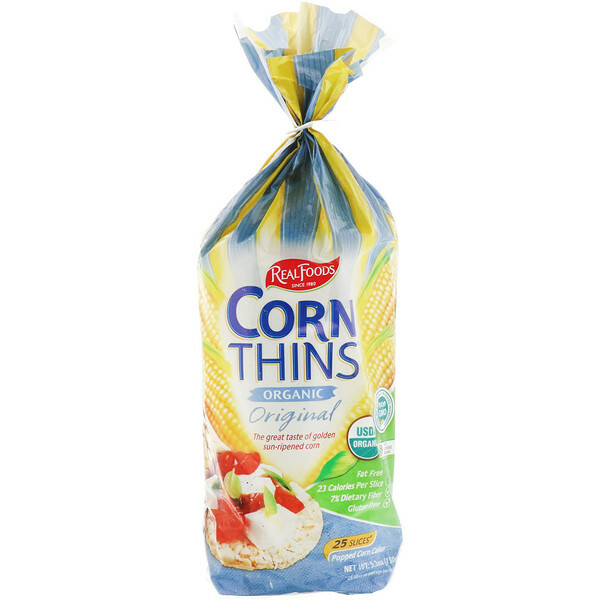 Being fat free and all natural, Real Foods Corn Thins really are good for you. Real Food is proud to be producing wholesome and natural products for people who enjoy great tasting real food. Delicious with grilled mushrooms, spinach and grated parmesan cheese. Sliced turkey, Swiss cheese and honey mustard. †Adds an insignificant amount of fat. To maintain freshness, reseal pack after opening or store in an airtight container.